Shanghai developer Shimao Property Holdings is to build a new Smurfs-themed destination in the Dream City amusement park development in the Chinese city. Designed by KCC Entertainment Design, the new land will have an indoor and outdoor function, both of equal footing in a 20,000sq m (215,278sq ft) area and will sit next to the Intercontinental Shanghai Wonderland. Over 20 themed attractions will be on offer, including a Smurfs Berry roller coaster, an AR Gargamel attraction, climbing courses and a themed golf game. IPMS, the Belgian company that owns the Smurfs IP, has combined licensing and preliminary design planning with Shimao for the project. "We want the visitor to be completely immersed into the life of the Smurfs and get the feeling they are part of the Smurfs family," said KCC CEO Yannick Maes. "By adapting the lighting and by using projections, we will mimic different times of the day and different weather conditions. The land will be divided into four sections, where visitors can interact with fan-favourite characters like Smurfette and Brainy Smurf. 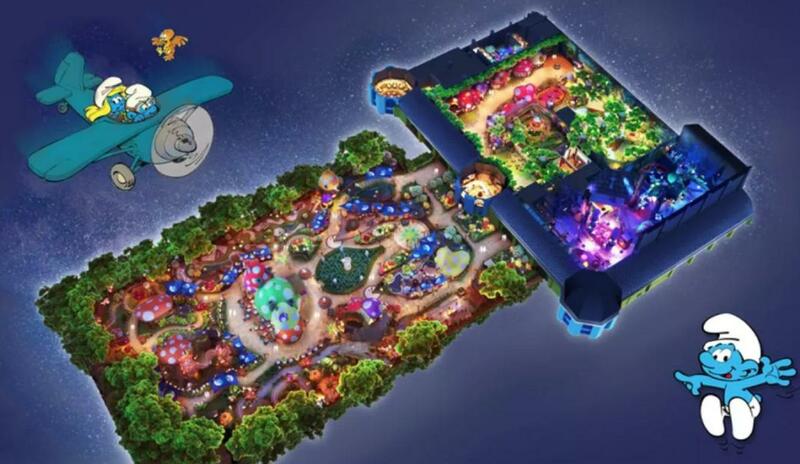 The area will be the first Smurfs themed destination in Asia when it is built. Shimao and IPMS held a press conference on 20 March 2019 to officially announce the new zone, which was attended by Shimao vice chair and president Xu Shitan, Shanghai Municipal Bureau of Culture and Tourism deputy director Cheng Meihong and China’s Belgium consul general.